[TI] Twisted Insurrection Version 0.7 Has Been Released! The Twisted Insurrection Team is pleased to announce the hotly-awaited release of Twisted Insurrection Version 0.7! This latest release has undergone over 400 lines of various changes, fixes and additions, the most exciting of which is the implementation of a new Tech Faction: The Forsaken, a darker take on the Forgotten from Tiberian Sun. Here's a summary of the changes. For a complete list of changes since the last public release, check out the full changelog. All this and more in the latest build. We thank you for your continued support and hope you enjoy the latest release. We're also looking forward to hearing your thoughts on Version 0.7, so please feel free to ask us any questions or report any bugs you encounter. Now go forth and have fun! First of all, a big thanks to all our fans out there for voting us on the first phase of the Mod of the Year Awards. Thanks to you, we've made it to the Top 100 nine times in a row! However, the battle is not over just yet. Phase two is on so remember to vote for us a second time. Just head to the Top 100 page on Mod DB, find us under Tiberian Sun mods and click vote! Remember, you can vote for as many mods as you like, so don't forget to vote other great projects such as Dawn of the Tiberium Age and Mental Omega. Twisted Insurrection Version 0.7 and the Original Soundtrack Volume 7 will be released on thursday, 21st of December, 2017. Tech units, including GloboTech and Forsaken units, can now be built only from their respective factories. GDI Marauders can now fly like the Jumpjet Infantry in TS. 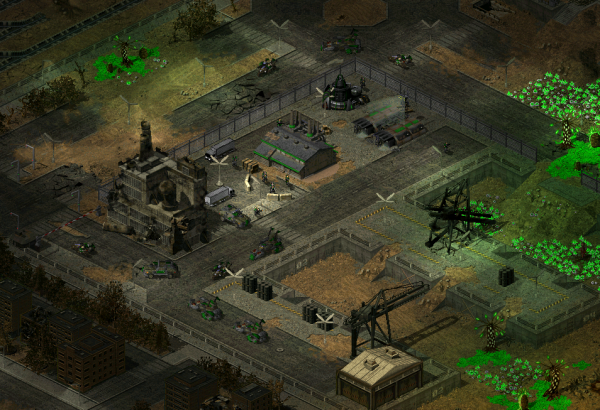 Tiberium creatures are now stronger against anti-personnel weapons. A ton of miscellaneous fixes & cleaning of the INIs. And that's only scraping the surface! The full list of changes is over 400 lines long! So mark up your calendars and prepare your battle stations. The next update is going to be big. 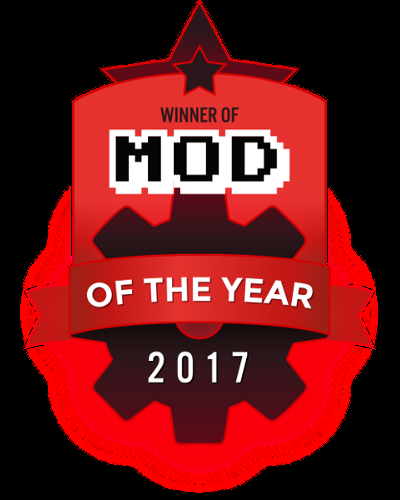 It's that time of the year again, the time to start voting in the Mod of the Year Awards! As you might know, we've had a solid place in the Top 100 for eight consecutive years, and it's all thanks to your support! Now you can help us reach the position once more. Click here to head on our page on Mod DB. Remember, you can vote for as many mods as you like! P.S. Expect a big announcement in the next few days. AnNo1935, webmaster of the German Command & Conquer fansite CnCSaga.de, recently gave Twisted Insurrection some limelight with an interview. Please tell us something about your mod, how did it all start? Crimsonum: Twisted Insurrection was founded by Aro all the way back in 2004/2005 as a set of custom missions for Red Alert 1. In 2007 he moved the project to the Red Alert 2: Yuri's Revenge engine. 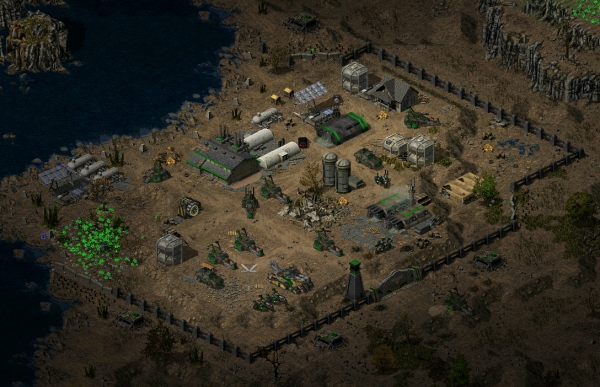 It didn't even take a full year before he again decided to switch engines, so in late 2007 the project moved to Tiberian Sun: Firestorm, where it has remained ever since. By that point the first team had formed, they developed many elements that are still integral to the game (such as GloboTech, the Thorn creature and the Interior theatre). While our team composition has changed a lot during the years, there are still a handful who've been aboard the project since day one. It's amazing to think back and see how Twisted Insurrection has evolved from a tiny campaign to a small mod, and finally to a huge standalone game with unique assets, factions and story. What makes this mod special? Erastus: I think what makes this mod special is its premise, an alternate take on C&C history where Nod won the first game, not GDI, and all the implications that come with it. We also show progression from the Tiberian Dawn era into the Twisted Insurrection era as technology transitions over the course of the first act. Click here for the full interview on ModDB. You can also check out the German translation on CnCSaga.de forums. Hi everyone. It's been a long time coming but we have finally gotten around to setting up an official Discord Server. Join us and please feel free to share the link with anybody whom may wish to join too. Join the Discord Server here! Copyright © 2007–2019, some rights reserved.